Scanning AUTODESK iQube 3D Laser Scanning System literally takes seconds. With no complicated systems, positioning, socks and of course messy and time consuming casting. Patients love the speed and impressive technology and the Podiatrists love the flexibility and accuracy the system provides. 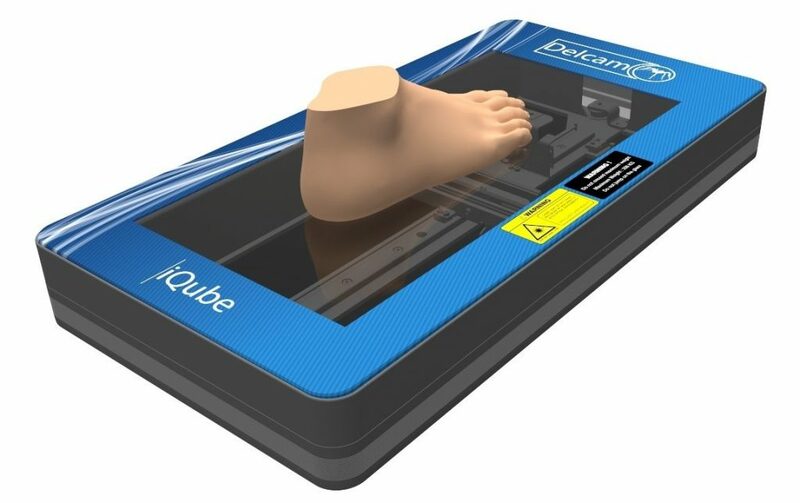 A computer generated scan of a neutral foot position is created by scanning the foot in a clinical situation using the 3D AUTODESK iQube 3D laser scanning system. Once the laboratory has the scan, the technicians then are able to manipulate the foot to the Podiatrist prescription in a very exacting manner.